George Zimmerman Back In Jail; Attorney Preparing New Bond Motion : The Two-Way The man who shot and killed 17-year-old Trayvon Martin was sent back to jail because he did not disclose to a judge that he had raised more than $200,000 to help pay for his defense. Zimmerman has pleaded not guilty to a second-degree murder charge. 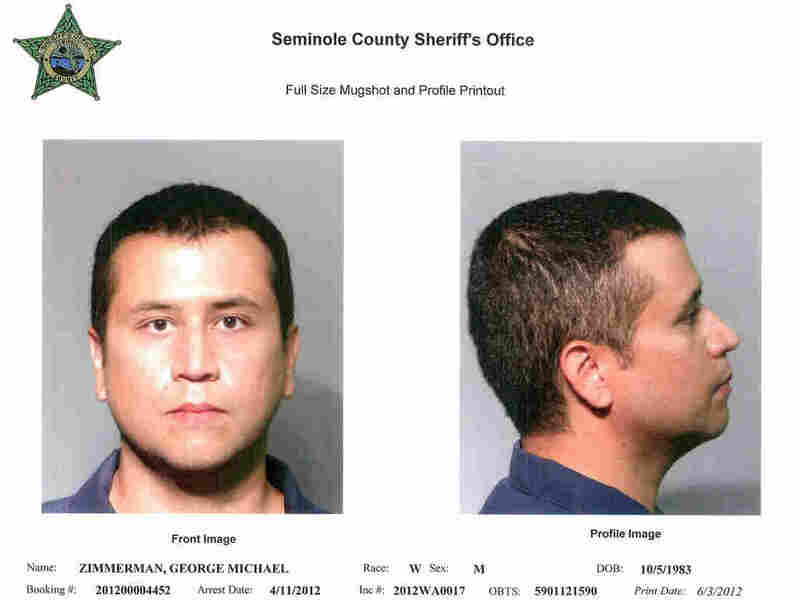 A handout composite provided by the Seminole County Sheriff's Office, showing George Zimmerman in new mugshot photos. As ordered by a judge on Friday, neighborhood watch volunteer George Zimmerman has turned himself into authorities and is back in a Sanford, Fla., jail. Now, as the Orlando Sentinel reports, Zimmerman's attorney is preparing a request that he again be released on bond. Zimmerman is the neighborhood watch volunteer who shot and killed Florida teenager Trayvon Martin on Feb. 26. It's a case that has generated attention across the nation because of questions it raised about racial profiling and so-called Stand Your Ground laws. He had been free on bail while awaiting trial on a second-degree murder charge. But Zimmerman, who has pleaded not guilty and says he acted in self defense, had not told the court when he was first released on bail that he had collected more than $200,000 via a PayPal account set up for supporters to contribute to his defense. Because of that lack of disclosure, a judge on Friday told Zimmerman to turn himself in.